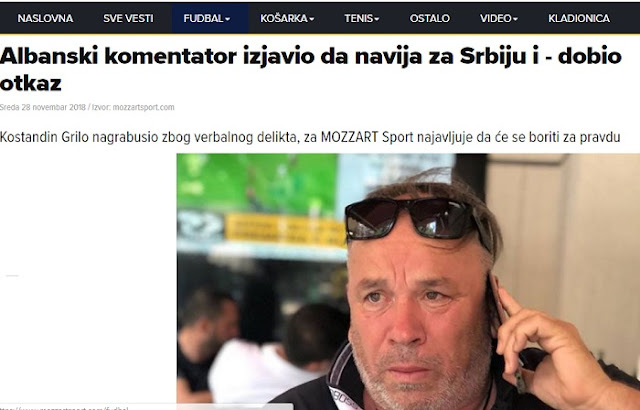 The statement of the former football commentator Kostandin Grillo, who said he is a fan of Serbia, sparked numerous reactions. 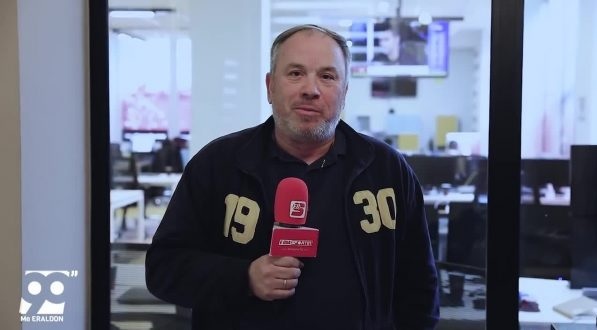 The title of Serbian newspaper "Mozzart Sport" by journalist Zeljko Kuzmic on Thursday was: "An Albanian commentator said he was happy for Serbia and was dismissed". In this article he writes about his visit to Albania and the meeting with Grillo. "As I was in Albania, I became a friend with the well-known commentator Kostandin Grillo, who worked at the National Television of Albania. He was invited to a television in Kosovo and when asked of the team he liked most, he told Serbia. That's because he has many friends in our country, including me. Then he had many other problems," explains Kuzmic. Asked about his problems, Grillo respondet: "I was fired by the boss and in my post came a man, among other things, with a silly accent and without the serious qualifications. I will fight and hope justice will be on the right path," Grillo concluded.